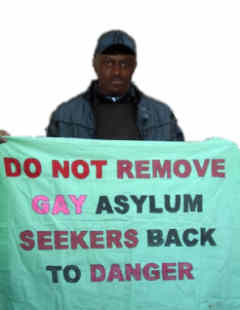 Linford Cunningham, one of the founders of the LGBT Asylum Support Task Force, came to Worcester in 2007 after being beaten and tortured in his native Jamaica because he was gay. He hooked up with asylum lawyer Lisa Lauren Weinberg and Pastor Judy Hanlon of Hadwen Park Church, and the task force was born a year later. “No one should have to go through what I did,” said Cunningham, who has his green card and works at AIDS Project Worcester. A non-United States citizen can seek political asylum here if they have a fear of being persecuted in their country of origin due to their race, religion, nationality, or membership in a particular social group, which includes homosexuality. Gay asylum seekers are one of the most vulnerable groups of immigrants in America, because they lack legal status and are typically shunned by their own community. To date, the Asylum Support Task Force has helped close to 30 gays and lesbians find shelter, support and key legal services. The task force accepts no one without a lawyer, as the goal is to attain legal status in the U.S. Unique in its scope, the Task Force is receiving referrals from Boston and from as far as California. Lisa Laurel Weinberg of Lutheran Family Services, one of the task force sponsors, says the asylum issue isn’t just about homophobia. Pastor Hanlon said the task force needs about $3,000 a month to keep asylum seekers fed and housed. 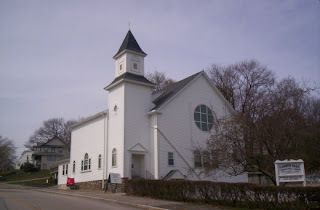 Checks are appreciated and may be made payable to Hadwen Park Church and mailed to 6 Clover St., Worcester, MA 01601. Mark “LGBT Fund” in the memo.